Watch the video to find out more about Quit 4 LIfe! 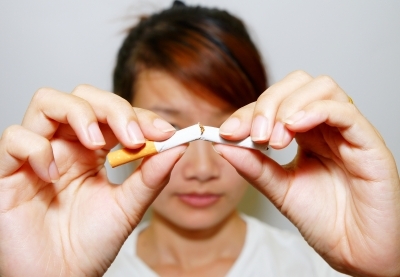 If you really want to give up smoking - for good - then hypnotherapy might just be the answer you've been looking for. The ﻿Quit 4 Life Programme﻿, which I have been trained under and hold a licence to deliver, combines techniques in Clinical Hypnotherapy, Cognitive Behaviour Therapy and Neuro Linguistic Programming to provide an effective method to assist people who are wanting to quit smoking. The New Scientist Magazine published findings in 1992 on the effectiveness of different methods for stopping smoking including will power alone, self-help manuals, smoke aversion techniques, advice from GPs and nicotine gum. The study came to the conclusion that hypnosis was one of the most effective ways of stopping smoking. Please note, this link is to a subscription page although you can read the first paragraph of the findings. If you join the Quit 4 Life network by visiting their site, you will be able to claim a voucher entitling you to a discount rate. The Quit 4 Life programme recommends a single session at £160. If your motivation is high, then this is usually all that is required. However, if you feel you could benefit from a further session then these are offered at the discounted rate of £80 each (please see my prices page for further information). These follow-up sessions can be taken at any time. As a Quit 4 Life Practitioner, I agree to make a donation to Cancer Research UK every time I take on a new client for smoking cessation.